Catapult HQ Inc (“Catapult”) is an advanced web-based Request for Proposal (“RFP”) platform which automates the RFP process for the retirement plan industry. Catapult streamlines RFP's using Machine Learning (ML) and Artificial Intelligence (AI) system designed to assist consultants, attorneys, CPAs, and plan sponsors sort, evaluate, score, query, and select a plan or participant level advisor. The RFP system provides sample questions and the flexibility to create custom questions. The RFP is sent via email through the system. Advisors respond to the questions online. Responses are integrated into a single report for easy scoring before producing a final report to document the process. PlanTools' ERISA Advisor Evaluator automates the process for executing an RFP saving you precious time. Although optional, a rigorous qualification process should include vetting an Advisor’s financial and criminal history. We provide a list of over 300 targeted questions or create your own. EAE accommodates attachments to questions when requesting a comprehensive response. This is an automated cloud-based solution available on the web. Score any or all responses from each participating advisor for each question to quantify your research. Sort, score, and select it is just that simple. 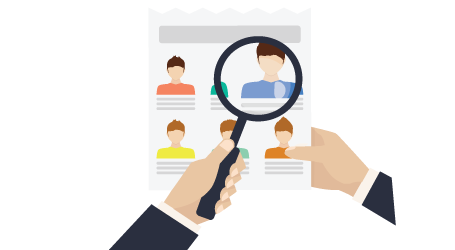 Notify the candidate via EAE to complete the documentation process. Would you like to execute a search through our database of participating Advisors?